Rotork PLC, based in the United Kingdom, is an actuator manufacturer and flow control company. Its business is split into four actuation and flow control divisions supported by its service company Rotork Site Services: Rotork Controls, Rotork Fluid Systems, Rotork Gears, Rotork Instruments and Rotork Site Services. Rotork Controls manufactures electric actuators and control systems for the valve market. Rotork Fluid Systems is engaged in the production of pneumatic and hydraulic actuators and control systems. Rotork Gears manufactures complete gearbox assemblies and valve adaption kits for use with actuators and as direct valve operators. It has facilities in the United Kingdom, the Netherlands, Italy, China, the United States and India. Rotork Instruments manufactures products used in the pressure and flow control markets. 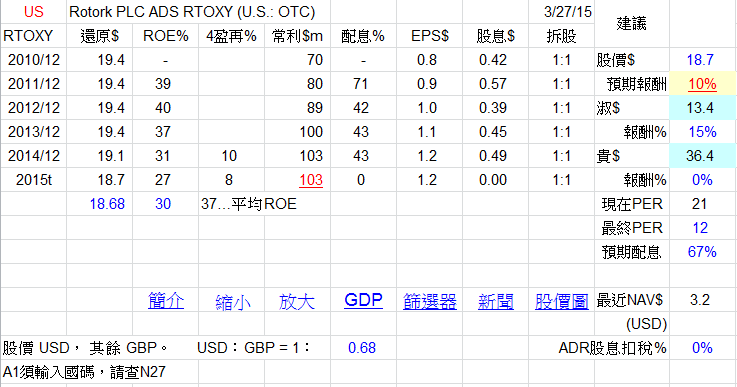 Reed Elsevier PLC is a United Kingdom-based company holding shares in RELX Group plc. 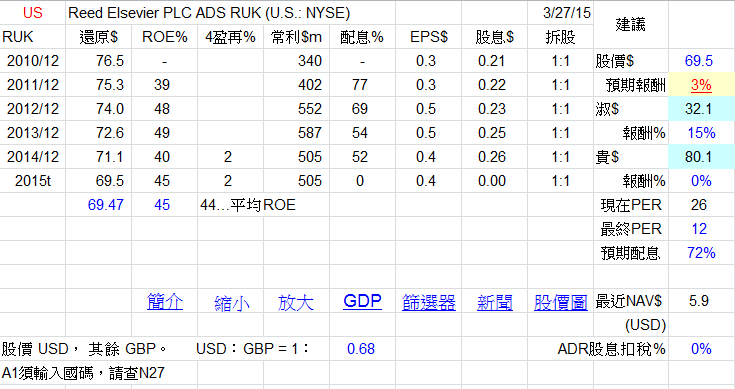 Shareholders in Reed Elsevier PLC own a 52.9% economic interest in RELX Group plc. 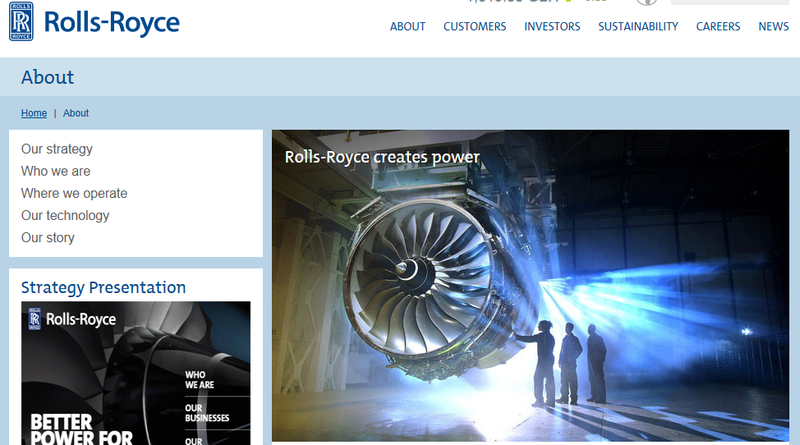 Rolls-Royce Holdings plc is a United Kingdom-based holding company. The Company, through its subsidiaries, provides power solutions for customers in civil and defense aerospace, marine, energy and power markets. The Company operates through five business segments: Civil Aerospace, Defence Aerospace, Energy, Marine and Power Systems. The Civil aerospace segment is a manufacturer of aero engines for the airliner and corporate jet markets. The Defence Aerospace segment offers engines for aircrafts in various market sectors, including transport, combat, patrol, trainers, helicopters and unmanned aerial vehicles. The Marine segment is engaged in the provision and integration of systems for offshore oil and gas, merchant and naval vessels. The Energy segment supplies customers with aero-derivative gas turbines, compressors and related services. The Power Systems offers reciprocating engines, propulsion systems and distributed energy systems. Shire Plc is a specialty biopharmaceutical company that focuses on developing and marketing innovative specialty medicines that address unmet patient needs. The Company’s products included VYVANSE/VENVANSE (lisdexamfetamine dimesylate), ADDERALL XR (mixed salts of a single-entity amphetamine), INTUNIV (extended release guanfacine), EQUASYM (methylphenidate hydrochloride) modified release (XL), LIALDA (mesalamine)/ MEZAVANT(mesalazine), PENTASA (mesalamine), RESOLOR (prucalopride), FOSRENOL (lanthanum carbonate), XAGRID (anagrelide hydrochloride), REPLAGAL (agalsidase alfa), ELAPRASE (idursulfase), VPRIV (velaglucerase alfa), FIRAZYR (icatibant) and DERMAGRAFT(Human Fibroblast-Derived Dermal Substitute), CINRYZE. The Company focuses its development resources on projects in a number of therapeutic areas, including Neuroscience, Rare Diseases, Ophthalmology, Hematology and GI, and focuses its early development projects on rare diseases. 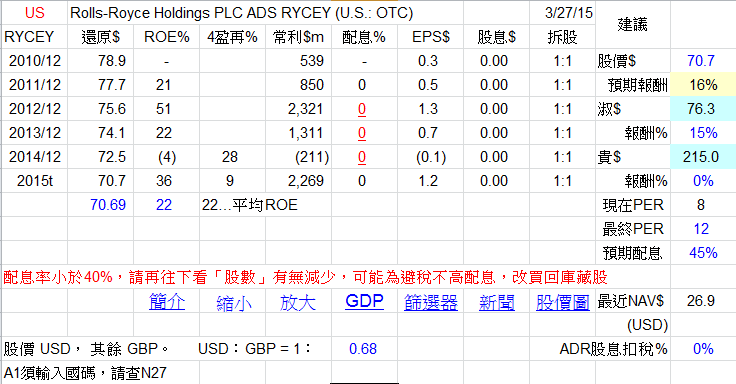 Sky plc (Sky), formerly British Sky Broadcasting Group plc, is an entertainment and communications provider. The Company's Sky TV offers live or on demand television programs. Its Sky Broadband offers broadband and telephony services. Its NOW TV is a streaming service and provides access to the Sky’s content. Sky Sports’ seven channels broadcast a range of live sport, news and analysis, from football and golf to cricket and tennis. Sky Entertainment offers entertainment channels Sky 1, Sky Living, Sky Atlantic and Sky Arts. Its Sky News provides breaking news and analysis. Its Sky Media is an advertising sales house and offers advertisers access to approximately 125 television channels. Its Sky Business provides Sky’s television and WiFi services. Its Sky Bet offers a range of online betting and gaming services under the Sky Bet, Sky Poker, Sky Vegas and Sky Bingo brands. Through its Content Distribution, the Company wholesales its channels to third-party pay television platforms. 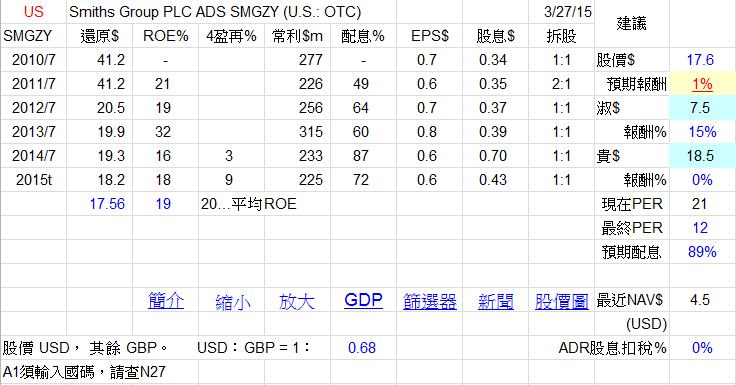 Smiths Group plc is a technology company. The Company designs, manufactures and delivers solutions across a range of applications and end markets from healthcare, energy and petrochemicals through to threat and contraband detection, telecommunications and equipment manufacture. It has five divisions: Smiths Detection, Smiths Medical, John Crane, Smiths Interconnect and Flex-Tek. These divisions serve a range of global customers including governments and their agencies, petrochemical companies, hospitals, telecommunications companies and equipment manufacturers in a variety of sectors globally. The Company is focused on the threat and contraband detection, medical devices, energy, communications and engineered components markets across the world. 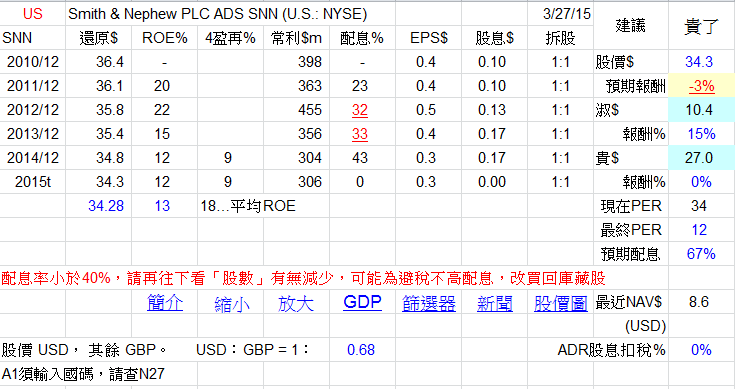 Smith & Nephew plc is a global medical devices business operating in the markets for advanced surgical devices consisting orthopaedic reconstruction, trauma and sports medicine and advanced wound management. The Company operates in two segments: Advanced Surgical Devices and Advanced Wound Management. The Company’s Advanced Surgical Devices (ASD) segment offers products and technologies include orthopaedic reconstruction, trauma and extremities, sports medicine joint repair, arthroscopy enabling technologies and other ASD. The Company’s Advanced Wound Management (AWM) segment offers products include Advanced Wound Care, Advanced Wound Devices and Advanced Wound Bioactives. The Company operates across the world and has distribution channels in over 90 countries. 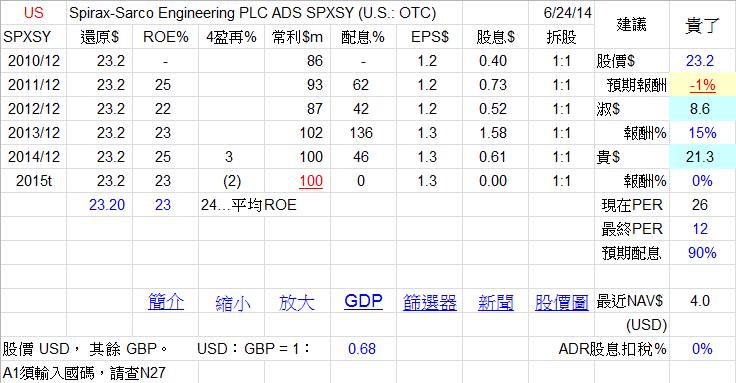 Spirax-Sarco Engineering PLC is a United Kingdom-based industrial engineering company specializing in steam and pump technology. 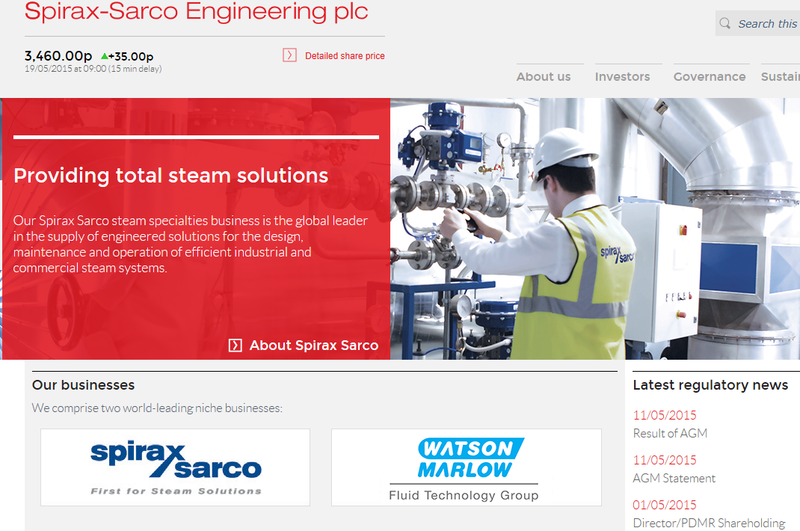 The Company’s two businesses are Spirax Sarco for steam specialties and Watson-Marlow for peristaltic and pumps. Spirax Sarco’s steam specialties and pump businesses provide the Company's customers with a range of engineered solutions for the design, maintenance and operation of industrial and commercial steam systems. Spirax Sarco’s engineered solutions are used in a variety of process industries, including beverages and brewing, pharmaceuticals, oil and petrochemicals, chemicals, mining and metals processing, plastics and textiles. It also provides a range of products, engineered packages and services. The Watson-Marlow business is the specialist and manufacturer of peristaltic pumps and selective pumps and systems. 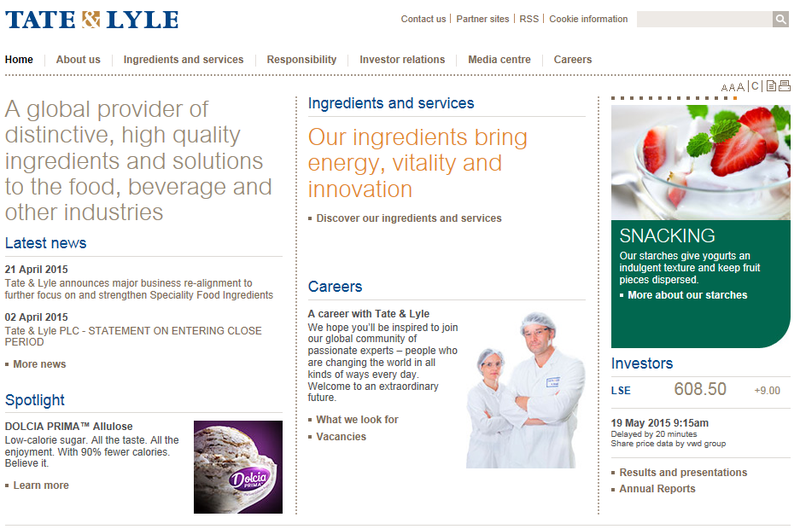 Tate & Lyle PLC is a provider of ingredients and solutions to the food, beverage and other industries. The Company uses technology to turn raw materials into ingredients for its customers. These ingredients add taste, texture, nutrition and increased functionality to products. Its customers include industrial, animal feed, pharmaceutical and personal care markets. The Company operates in two segments namely Speciality Food Ingredients (SFI) and Bulk Ingredients (BI). In SFI segment, the Company operates three categories: sweeteners, such as SPLENDA Sucralose and crystalline fructose; texturants, such as starch and gums; and wellness ingredients, such as PROMITOR dietary fibres, PromOat Beta Glucan and SODA-LO Salt Microspheres. BI manufactures and markets products including liquid sweeteners (corn syrup, dextrose and glucose), industrial starches, citric acid, bio fuels, and animal feed including corn gluten feed and corn gluten meal. Tesco PLC is a retail company. The Company has retail operations across the United Kingdom, Asia and Europe. 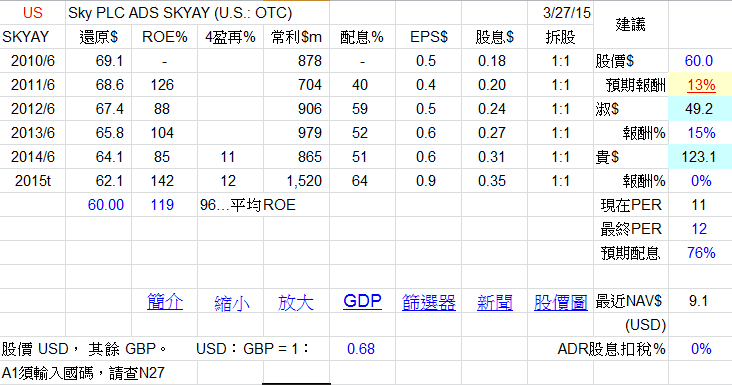 The Company engages in banking operations, through Tesco Bank. Tesco Bank’s banking products include customer accounts for credit cards, loans, mortgages and savings. The Company offers a range of 4,000 own brand products, as of December 22, 2014. 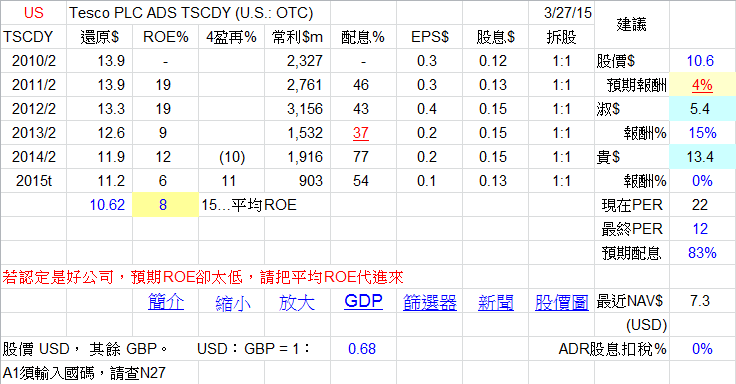 The Company operates through four segments: the United Kingdom, Asia, Europe and Tesco Bank. The Company operates approximately 3,378 stores in the United Kingdom. The Company operates approximately 2,417 stores in Asia. 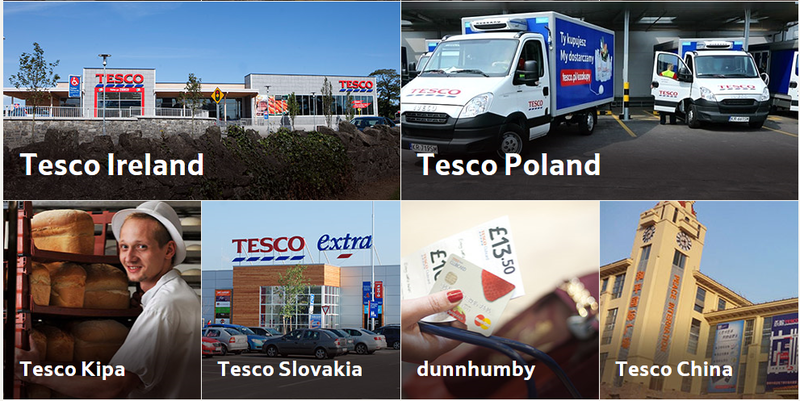 It operates approximately 1,510 stores in Europe. Tesco Bank offers retail banking and insurance services in the United Kingdom. 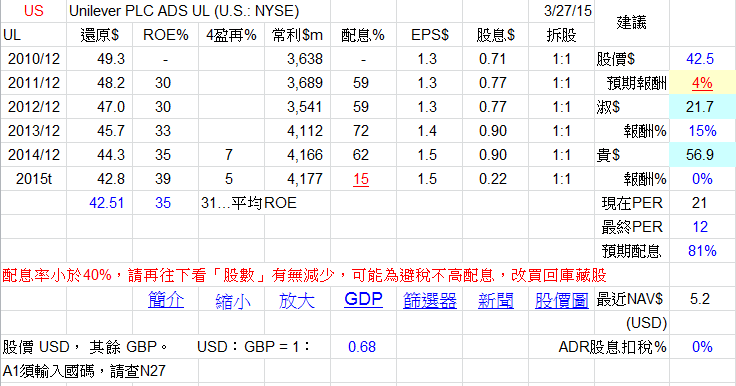 Unilever PLC is a fast-moving consumer goods company. 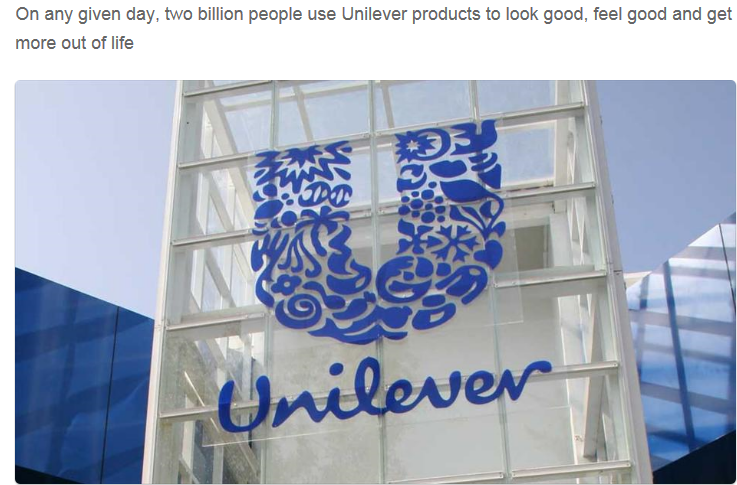 The Company’s products are marketed under various brands, including Dove, Sunlight, Knorr, Lipton and Pureit. The Company operates under four segments: Personal Care, Foods, Refreshment and Home Care. The Personal Care segment markets various products, including skin care and hair care products, deodorants and oral care products. The Food segment markets various products, including soups, bouillons, sauces, snacks, mayonnaise, salad dressings, margarines and spreads. The Company’s Refreshment segment markets various products, including ice cream, tea-based beverages, weight-management products and nutritionally enhanced staples, which are marketed in developing markets. The Company’s Home Care segment markets various home care products, including powders, liquids and capsules, soap bars and a range of cleaning products. United Utilities Group PLC is a United Kingdom-based holding company. 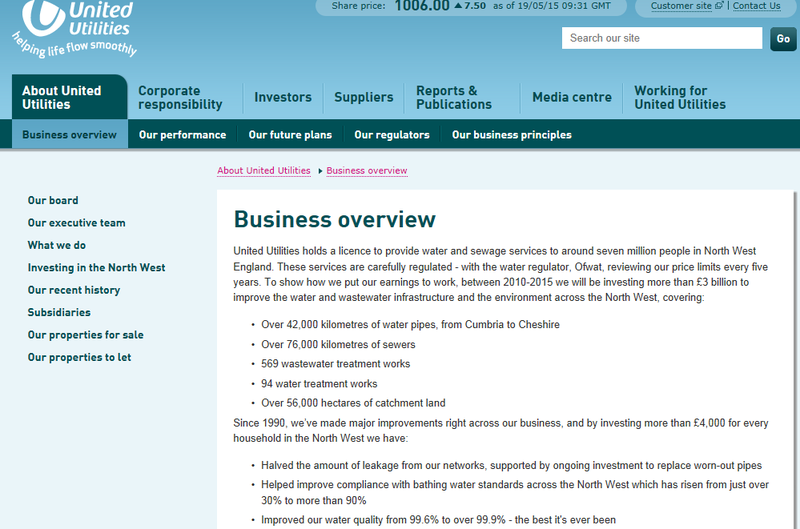 The Company, through its subsidiary, United Utilities Water Limited (formerly United Utilities Water PLC), manages the regulated water and wastewater network in the North West of England. The Company manages approximately over 55,000 hectares of catchment land, 120,000 kilometer of water pipes and sewers, 570 wastewater treatment works and 93 water treatment works. It owns approximately 179 reservoirs for water supply. The Company has operations Cumbria, Lancashire, Greater Manchester, Merseyside, and parts of Cheshire and Derbyshire. William Hill PLC is a gambling company. The Company provides betting and gaming services across multiple channels and countries. It operates through five segments: Retail, which includes all activity undertaken in licensed betting office (LBOs), including gaming machines; Online segment, comprises all activity undertaken online outside of Australia, including sports betting, casino, poker sites and other gaming products; Telephone segment, which comprises the Group's telephone betting services outside of Australia; US segment, comprises all activity undertaken in the United States of America; Australia segment, , which includes online and telephone sports betting under the Centrebet, Sportingbet and tomwaterhouse.com brands in Australia, and Others activities include on-course betting and greyhound stadia operations. It's betting and gaming products include horseracing, football, greyhound racing and electronic gaming.